No matter what your fitness goals happen to be, training your legs is going to be an important part of any Reno fitness center training program. The one thing you need to keep in mind as you put together your training plans for leg day is that while you should be training intensely, you also need to be training intelligently and safely. If you are like the average gym-goer, your legs are probably your weak point. This is largely due to the fact that most gym-goers tend to focus most of their energy on their chest and arms. However, if you want to build up those “chicken legs” you should plan to work them at least once every week and focus on compound (multi-joint) exercise like full squats and dead lifts. In reality, there is no question here, if you want to build up strength, stamina and a balanced body, doing squats is the only way to go. Squats work many of the major muscles in your legs and your core, including your glutes. Squats are demanding exercises and should be completed earlier in your workout when you are at your freshest. Varying the type of squats your are doing can also help to break past training plateaus by hitting other, subsidiary muscles. One of the biggest problems seen in the average gym is that squats are often not properly performed. Beginners will often load up the squat bar with excessive amounts of weight and only go down a few inches at a time. This achieves very little in terms of activating larger groups of muscles. Instead, you would be much better off using less weight and going deeper while maintaining proper form. If possible go down the point at which your hips are lower than your knees before going back up. What other Reno fitness centers fail to do is educate on the importance of form. Specifically with squats, there are a number of positions for your feet. Varying these positions will depend on the type of exercise you are doing, but when improperly performed can lead to injury. If you want to develop the most power in the most efficient way from your squats, you should stand with your feet spread apart at shoulder-width with your toes pointed slightly towards the outside. The more muscle mass and tone you develop the more you may want to consider using different foot positions to vary up the exercise. While squats are your bread and butter when it comes to leg day, there is another exercise you might want to incorporate into your workout. Dumbbell lunges includes using a pair of dumbbells, and can be a safer alternative for those just learning proper squatting form. While few people seem to do this exercise regularly, it is a safe and effective alternative to squatting with a straight bar. Now, keep in mind that this is just to get you started. At Flex Appeal, our Reno fitness center is happy to help educate you on proper lifting form and technique. Don’t be afraid to ask us to spot you when you are lifting! 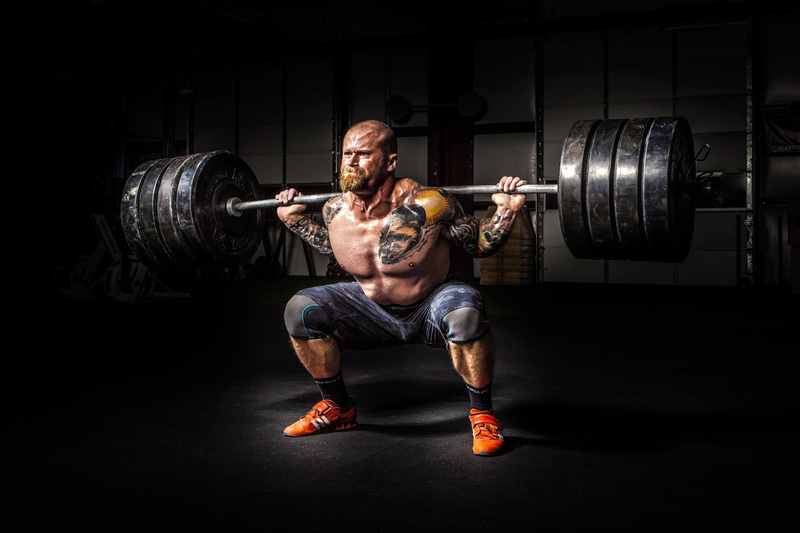 Finally, the most important part of getting the most out of leg day at any Reno fitness center, is to make sure you are mentally ready to take on the challenge and push your body to the limit. Many Reno fitness centers, like Flex Appeal, offer free trial memberships. Check us out and stop by today. We’re here to help you achieve your goals!